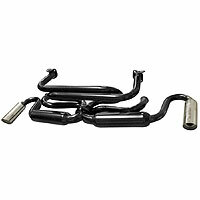 Good Quality Aftermarket EMPI Euro tuckaway exhaust system. Supplied with gaskets to fit. Custom window winder handles, Pair.